C.S. Lewis may be best known for his childrens books, in particular the Narnia series. When he first began this series he was already an accomplished author, but his publisher and friends argued against a move into childrens literature on the assumption that it would harm his reputation as an author of more serious philosophy and apologetics. That didn't turn out to be the case. In fact, the Narnia books were simply an extension of Lewis apologetics. The entire series is an extended allegory for Christianity. 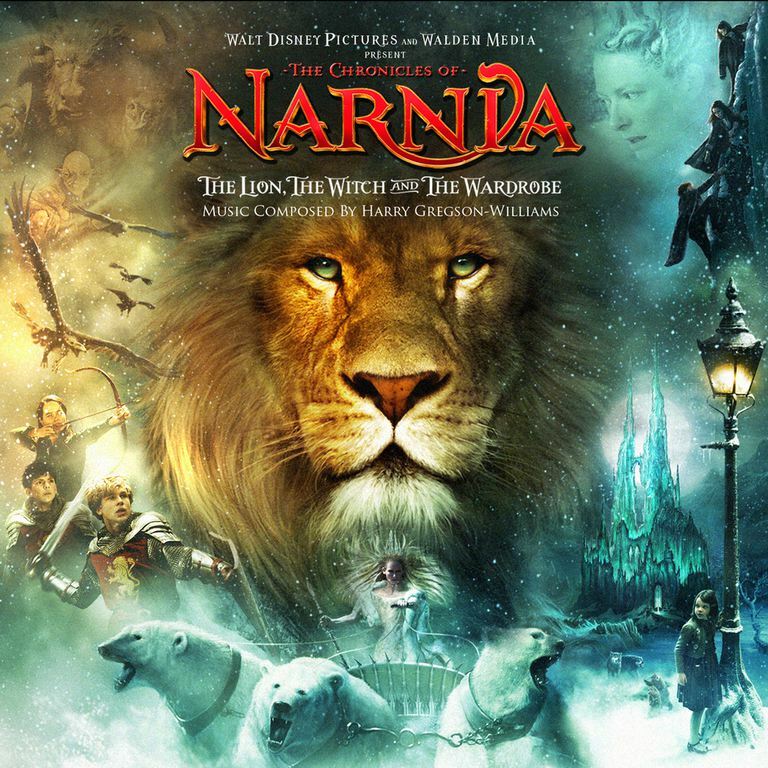 The first book, The Lion, the Witch and the Wardrobe, was completed in 1948. In it, four children discover that a wardrobe in an old house is really a doorway to another world inhabited by talking animals and ruled by Aslan, a magic lion. The evil White Witch, however, has been taking control and causing the land to suffer an eternal without Christmas. One of the boys, Edmund, is seduced by the White Witch who plies him with Turkish Delight and promises of great power. In the end, Edmund is only saved from evil when Aslan the lion sacrifices his own life but Aslan returns to life and leads his forces in a great battle, after which the children become kings and queens of Narnia. This was not the end of stories, though, and C.S. Lewis would write six more with the final one being published in 1956. Aslan obviously represents Christ, and the lion has often been used as a symbol for Jesus. The White Witch is Satan tempting Edmund, who is Judas. Peter, one of the children, represents the wise Christian. Father Christmas represents the Holy Spirit, who comes and bring gifts to true believers so that they can fight evil. "I did not say to myself Let us represent Jesus as He really is in our world by a Lion in Narnia; I said, Let us suppose that there were a land like Narnia and that the Son of God, as he became a Man in our world, became a Lion there, and then imagine what would happen.'" The Magicians Nephew tells the Creation and how evil entered Narnia, The Lion etc. - the Crucifixion and Resurrection, Prince Caspian - restoration of the true religion after a corruption, The Horse and His Boy - the calling and conversion of the heathen, The Voyage of the Dawn Treader - the spiritual life (especially in Reepicheep), The Silver Chair - the continuing war against the powers of darkness, The Last Battle - the coming of Antichrist (the ape). The end of the world and the last judgement. At first the Narnia books were not well received by critics, but readers loved them and today they have sold over 100 million copies. It's possible to read the books without thinking about the Christian references, but only with some difficulty especially if you are an adult who is familiar with Christian doctrine and Lewis writings as an apologist. The problem is, Lewis either wasn't capable of or didn't think highly of subtlety. The Christian allusions in the books come on fast and strong, with little apparent effort to construct a story that might exist independently of the religious references. As a point of contrast, consider J.R.R. Tolkien's books which also contain Christian references. In that case, the references can be missed because they are buried in a deep, complex story that can stand independently of Christianity. C.S. Lewis also used his three science fiction novels to promote Christian ideas: Out of the Silent Planet (1938), Perelandra (1943), and That Hideous Strength (1945). These arent nearly so popular as his other works, however, and arent generally discussed. Why Does C.S. Lewis Ridicule Atheists? Does Harry Potter Teach Christianity? Was Jesus Whom He Claimed? Is Christianity Compatible with Democracy? What Type of Religion Is Christianity? The Matrix and Religion: Is It a Christian Film? Does Harry Potter Promote Wicca? Are Atheists in America More Liberal than Evangelical Christians?